At common areas like parks, gyms, schools or universities its essential that there are easily accessible water solutions. However, many people question whether it’s sanitary to use a public drinking water fountain as so many people have used it before you have. We are about to explain the dirty and not so dirty truth. The harsh truth is that, yes there are germs that you could catch as with any public facility. Another large problem is metal contamination from old pipes may increase the percentage of metals that you consume, however, if the pipes are contaminated that doesn’t mean your tap water would be any better than a water fountain. If you trust the water supply in your area then you are sure to trust the water in your neighbourhood where there are water fountains. If you are still worried you could just give it a wipe around the nozzle and let the water run a little bit before you start drinking it. 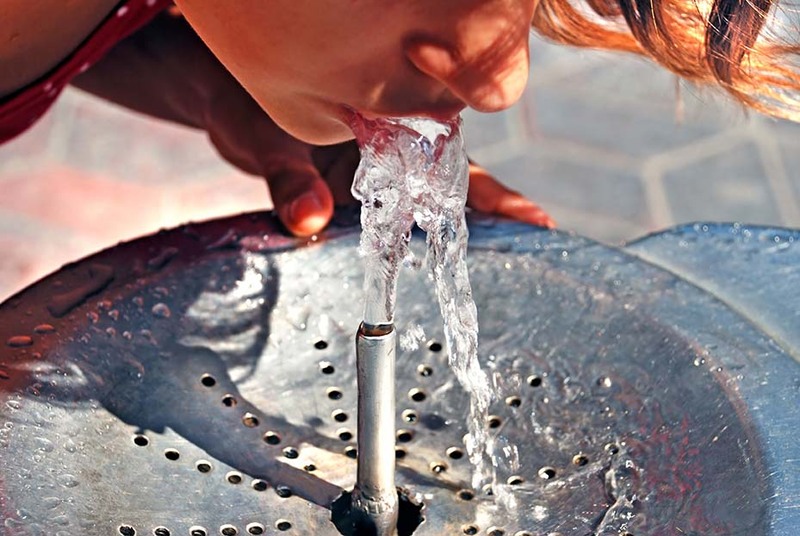 Modern water fountains can come with hygiene guards and anti-microbial bubblers increasing their levels of overall hygiene. This makes it especially useful in schools and universities. At Drinking Water Fountains, we offer a range of water fountains, where you can add on a filter to your system at only £22.00. For more details on these options please either email contact@drinkingwaterfountains.co.uk or call us on 0845 500 4455.